Join us for conversation and fun. The group is working on the following projects: Lap Quilts for Vanderbilt-Ingram Cancer Center; Hats & Scarves (child to adult) for local shelters and non-profit groups; Baby hats and incubator blankets for Centennial Women’s Center. 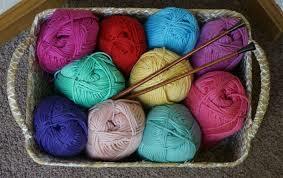 Bring your knitting needles and crochet hooks… we’ll provide the yarn and instructions. If you have any questions please email brigid.day@brentwoodtn.gov.